Thorntons may have closed and the shop is looking a ghost of its former self…. 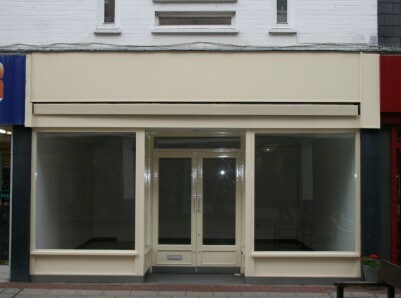 but there is still an independent sweet and chocolate shop in Abingdon, on Stert Street, who do have chocolates to fill some of the space in the market left by Thorntons. 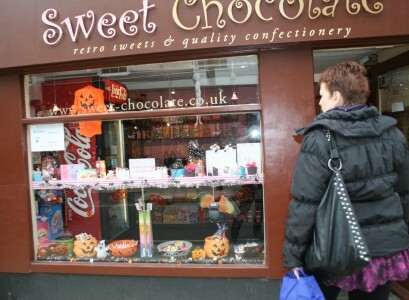 Sweet Chocolate are best known for their retro / traditional sweets and more recently American candy bars. Find out more of their recent innovations on their facebook page. I hope they have a successful run up to Christmas … once they have managed to get over the Halloweenies. We don’t want any more ghost shops. Was it my imagination or was Azuri completely empty this morning….what has happened to them? Apparently West End newsagents are going into the old Thorntons shop – and the owner is quite excited about it! but that’s a titchy shop! – or is it a bonus selling extra stuff? Azuri has had a stock clearance sale on for the last few weeks, so i guess they are either closing, moving or refurbing. I believe West End News have wanted to downscale for a while now. Their current shop may be one of the ones the leaseholders want to merge with others to create bigger untis. rumour has it that Thorntons will be back – premises sharing with another shop in the precinct – sorry Abbey Shopping Centre….. The Hallmark card shop opposite has a sign in the window saying Thorntons franchise coming soon. I had assumed that it would be similar to Waitrose selling Thorntons products – we will see. 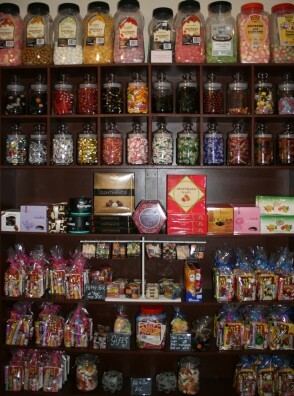 So long as i can get the Specia Toffees for my husband and son it will be OK by me! Tesco Oxford Road Action Group. © Copyright 2019 Abingdon Blog. All rights reserved.